In focused 1:1 coaching sessions we work with CEOs to identify leverage points for growth and to stay accountable for doing only what the CEO can do. For executives, we work to elevate his or her thinking to direct impact from the CEO’s perspective. Someone who tells you what others won't. Increased internal confidence and external presence. Clarity of the values that anchor your conviction and empower better decisions. Skill-building in executive presence, communication, delegation, listening and team building. Clients derive the greatest benefit by gaining clarity of themselves and the next career move to achieve personal satisfaction and success. Understanding how you compare to the rest of the working population at equivalent professional levels. 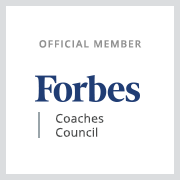 An interview/communication strategy through focused coaching. Executive Team Sessions broaden understanding, awareness and recognition of each other’s thinking styles, behavioral traits, motivations and interests. We work together to identify actions that leverage each member’s strengths as a team to maximize impact. Cost of engagement is based on scope of work. Third-party facilitation for 360-assessments, strategic planning, high-stakes conversations. Talonn conducts the Checkpoint™ 360 for each executive (online assessment based on standard leadership competencies). And we conduct a qualitative executive 360 session - confidential, 360-degree verbal assessment to learn more about the leader’s impact on key employees and key stakeholders. Qualitative feedback is collected and presented in anonymous themes and patterns with actionable recommendations. Talonn provides Leadership Development Program recommendations for an effective leadership and team growth program that supports culture transformation. Uncover employee truth and perceptions of company culture, the impact of leadership, and where the performance development needs are. Identify where skills and development are needed for individual executives and across groups and teams. We assess current presentation style to improve your confidence, executive presence and presentation skill. We create a customized speech structure and memorable presentation for your audience. Talonn provides a clear path forward for completing your book with a focused strategy, project management and author accountability. Bill Gates emphatically says everyone should have a coach. Former Google CEO Eric Schmidt says the best advice he ever got was to get a coach.